Sixteen people have died in the past four years in Manchester from a strain of “superbug”. The highly resistant form of Klebsiella Pneumoniae Carbapenemase (KPC) has caused hundreds of infections and 17 deaths – 16 of those in the Manchester area, the BBC reported. A Freedom of Information Act request revealed that between 2009 and 2013, the numbers of patients affected within Central Manchester University NHS Foundation Trust rose year on year. Out of the 1,241 patients affected, 62 suffered blood poisoning – with 14 confirmed deaths within 30 days of infection – at the trust. Two other deaths have also been confirmed in the current year. 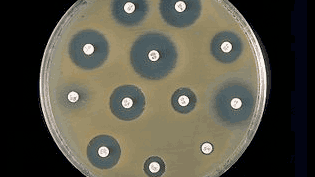 KPC is resistant to the carbapenems group of antibiotics that are generally regarded as the “last effective defence” against multi-resistant bacterial infections.